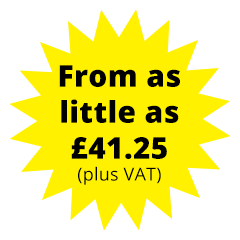 By regularly testing your hot water system using a testing kit from Smartwater Testing you can ensure that you are following the Health & Safety Executive (HSE) Approved Code of Practice (ACOP). You receive a Certificate to confirm that the testing has taken place (and a helpful reminder of when the next test is due). Just 12-13 days from collection of samples to Certification. What if the tests find legionella bacteria contamination? Rest assured the team at Smartwater Testing will guide you through any necessary next steps. 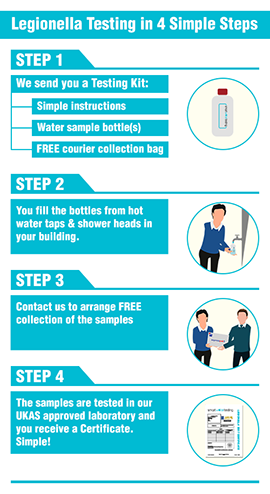 Contact the team at Smartwater Testing today for further details or follow our 3 simple steps to order online.